BEIRUT: The remaining fighters started to withdraw from the last rebel-held enclave in central Syria on Wednesday, state television reported, sealing the government’s control over the area and opening a major stretch of the country’s most important highway. It further cements President Bashar al-Assad’s dominant position over the most populated parts of Syria after years of fighting, but means any new military campaign might risk direct conflict with foreign powers. The withdrawal may also be the last in a series of agreed evacuations used by the government to defeat besieged insurgents by forcing them to surrender territory in return for safe passage to opposition areas in the north. Often brokered by Assad’s Russian allies, such agreements have in recent years become a defining characteristic of Syria’s seven-year war. 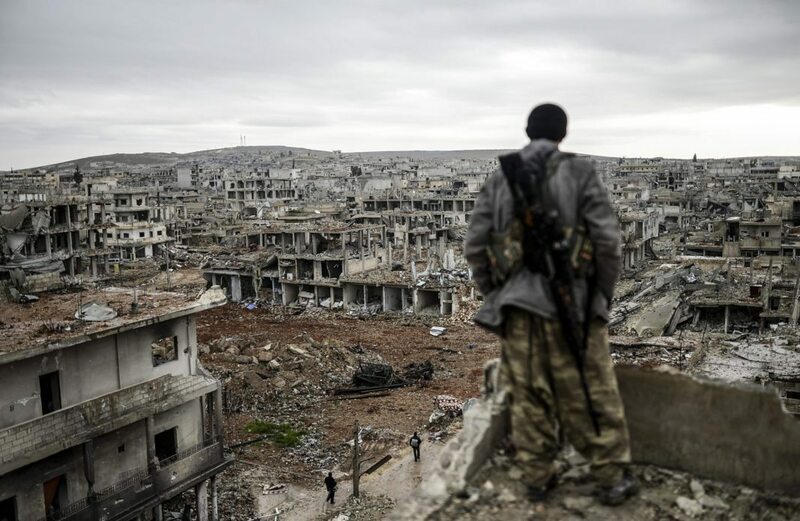 They have displaced over 100,000 people – rebel fighters and civilians. The opposition has called it a policy of forced displacement amounting to demographic change to force out Assad’s opponents. The Syrian government has said nobody is forced to leave and those who stay must accept state rule. The last besieged rebel area, being fully evacuated on Wednesday, is the large enclave located between the cities of Hama and Homs around the towns of Rastan, Talbiseh and Houla. Rebels still hold large swathes of northwest and southwest Syria that are not besieged because they border Turkey and Jordan, which have at times backed the insurgents and are guarantors of limited truces in those areas. The only other area still surrounded by the Syrian army, in the Yarmouk Palestinian refugee camp south of Damascus, is held by Islamic State fighters who look unlikely to agree to withdraw to the patch of desert they still hold in east Syria. More than a quarter of Syria is held by an alliance of Kurdish and Arab militias that the United States helped in the fight against Islamic State. US President Donald Trump has said he wants to pull American troops from Syria, but the Pentagon has said they are staying for now. Assad focused on the remaining besieged rebel pockets last month after taking back Eastern Ghouta, the biggest insurgent enclave near Damascus, in a ferocious, weeks-long offensive. Having held the area being evacuated on Wednesday for years, rebels agreed earlier this month to withdraw along with their families and other civilians who did not want to come back under Assad’s rule. Since the enclave straddled Syria’s main north-south highway in the stretch between Hama and Homs, recapturing it will significantly ease communication lines in government areas. Some 27,000 people have left the enclave already since the evacuations began earlier this month, a local government official said. The last convoy of buses began to leave on Wednesday, according to state media. Last month, 66,000 people left Eastern Ghouta under similar agreements, the UN has said. Other major evacuations have included from east Aleppo in late 2016, when more than 30,000 people left. Tens of thousands of other people have left smaller pockets in recent years. It has added to a humanitarian crisis in northwestern Idlib province, where the pre-war population of about 1 million people has been doubled by those fleeing other parts of the country.